Our knowledgeable sales staff can help you determine the accessories you need to keep your machines blowing and your business booming. 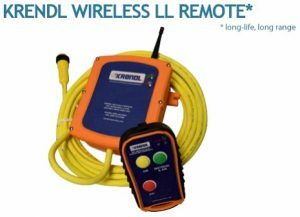 This NEW KRENDL WIRELESS LL REMOTE* is durable, with a long life and allows your crews to work on any project without interruption. With our 800’-1000’ line of site range, this rugged remote allows your crew to start and stop equipment with a touch of a button. Our hand-held LED transmitter hosts a LED relay showing strength of battery power. Adding to its long life is a long-range of transmission; meaning this remote can be “user ready” for weeks at a time before needing to be charged. The KRENDL LL REMOTE is weatherproof and with its sturdy durability makes it “construction site strong”, so no worries about dropping or getting stepped on. We offer hose reels of various types and sizes manufactured by Krendl Machines Co.™ that suit your machine and hose requirements. Manufactured to last, this product will extend the life of your hose and make work more manageable. To keep your blowing machine performing its best, it should be maintained at least every 100 hours of use. 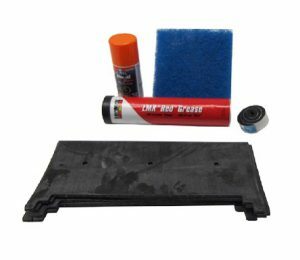 Krendl™ offers quick, one stop shop maintenance kits tailored to each machine. 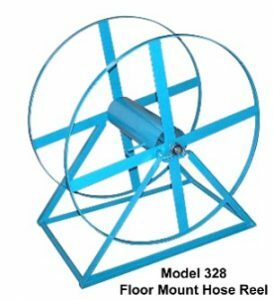 These are highly recommended and easy-to-use and, like all maintenance, can prevent major breakdown (and loss of productivity) when used at suggested intervals. Climatizer Insulation also offers maintenance or repair service at our shop. Please inquire with our sales staff for information or to book an appointment. 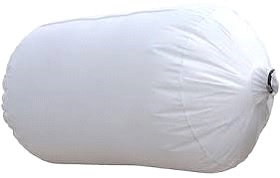 Our insulation removal bags, packaged in a box of 20, are 4’ by 6’ and can hold up to 75 cubic ft of removed product. 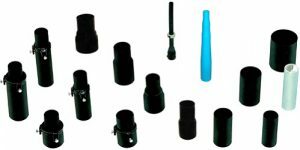 These are compatible with Krendl Blowing Machines, as well as other machines and have a 10” collar for easy installation and removal.